Dr. Markus Schade, Scientific Manager at Grünenthal GmbH, described how chemists can obtain rapid and automated experimental verification of the chemical structure and purity of small molecule substances using Mnova Verify software. Markus holds a Ph.D. in biochemistry and an MBA in entrepreneurial management. 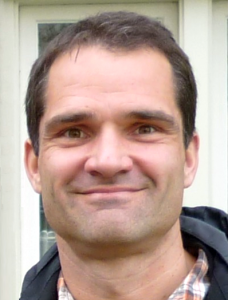 Markus has been working in industry NMR research for over 15 years at Pfizer, AstraZeneca, Grünenthal and Biotechs. At Grünenthal GmbH, Markus manages NMR analytics and fragment-based screening in early drug discovery. Chemists wish for a rapid and automated experimental verification of the chemical structure and purity of small molecule substances. Here we demonstrate how automated sample preparation, modern 2D NMR technologies and Automated Structure Verification (ASV) software work together towards this goal. After submitting 1mg substance the chemist receives a chemical structure verification score, relative purity estimate and an annotated NMR spectra dataset in full automation, which substantially speeds up manual cross-checking.